Wisdom teeth typically appear in the mouth during your late teens or early adulthood. Sometimes there is not enough space in the mouth for them to fit and function in the bite. When this happens they can cause pain and discomfort due to tooth decay and abscesses or cysts that form in relation to the wisdom tooth. When problems with wisdom teeth arise they often need to be removed. Dr Luke Rickman has a wealth of experience in providing this procedure with or without sedation with happy air. 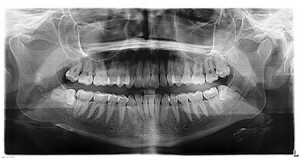 Healthy wisdom teeth do not need to be removed but should be monitored with regular dental check-ups.